I don't know when they offer, but if you ask you can get a tour on any visit. In NYC for a few days, decided to do it right. Have gone to Le Bernadin, Per Se and Babbo. I am not going to write a full review, but I'd have to say that I was most looking forward to Per Se, and it was the most disappointing of the three. Some of the dishes were sublime -- a foie gras terrine with thinly shaved apples on a vegetable aspic with candied pecans and other stuff..............wow, probably the best single dish I have ever eaten, and I've had many wonderful ones at top restaurants. But also a $40 surcharge on top of a very expensive meal. The problem was that some of the dishes were just too rich, with at least 4 being served with over-reduced broth that was simply too salty. We were all too stuffed and by the end of the meal when all the little additional cookies, truffles, etc. came out we were even making jokes like "quick, let's leave before they bring us any more food!". The restaurant emotionally lost it's grip on us ~ 2/3 through the meal when some of the heavier dishes started piling on top of each other. Am I glad I went? Yes. Would I recommend it to others? Sure, because it's Per Se, dammit! But consider going to other great restaurants for ~ half the price; you might get a better meal. I'm sorry that you didn't have a better time at PerSe. This is a place that is indeed an experience, a place to feast and indeed over indulge--BUT not enough to feel bloated. When I go I make sure to have a little something only in the morning to get ready (I also don't go for other cuisine in the same week but that's me). 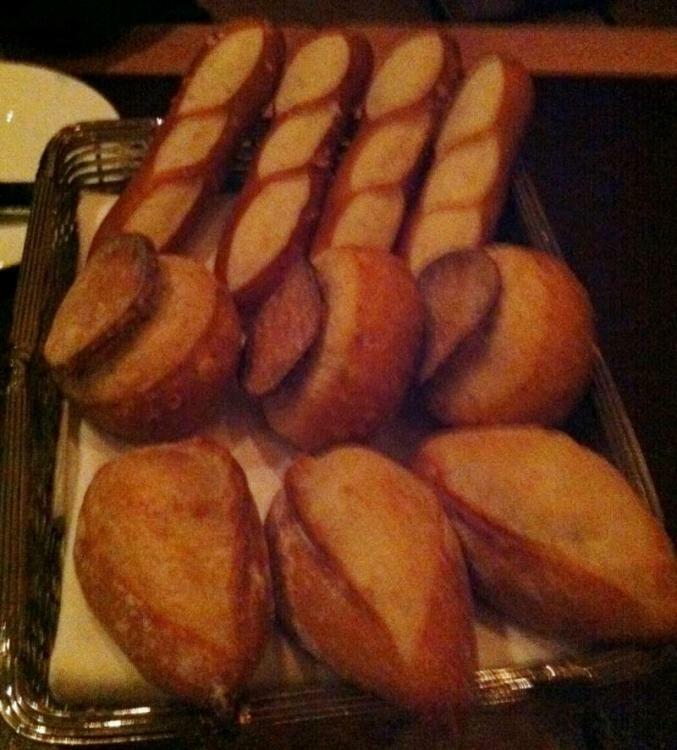 Yeah, they do add on for the foie gras supplement because it is so expensive--and worth every penny to me. Once you start getting the handmade chocolates, these are all meant to be little snippets of taste depending on your preferences; they fully expect you to ask for some to take with you as you go. I'm always tempted to ask for a full set of the chocolates but never do. Hmm, I notice there's now a smaller tasting menu now also available. I can't wait for my 15th trip at the end of this month! Didn't see a smaller tasting menu. It certainly was an experience, and one that I am very glad I had. Doubt I'll do it again, though. I think you may have seen a lunch menu, where there is indeed a shorter option. At dinner in the main dining room, the menu remains $295 for nine courses. You can order à la carte in the Salon. Yes, maybe it was a mistake, I've only seen it on 4/10. Not that I would want such a thing. Once again #10 on S Pellegrino's 50 Best Restaurants in the World, congratulations! I can't wait for my 15th trip at the end of this month! I don't think you'll ever be a kid again, kiddo. Long before I indulged myself in fine cuisine, I once read that Thomas Keller and his French Laundry (FL) were arguably the world’s best chef and restaurant respectively. Then, I didn’t follow much culinary news until several years ago I heard that per se was New York’s most formidable restaurant and no wonder since it’s Keller’s beloved restaurant after FL. It was not until summer 2009 that I had the opportunity to savor the dishes of US’ most respected chef. 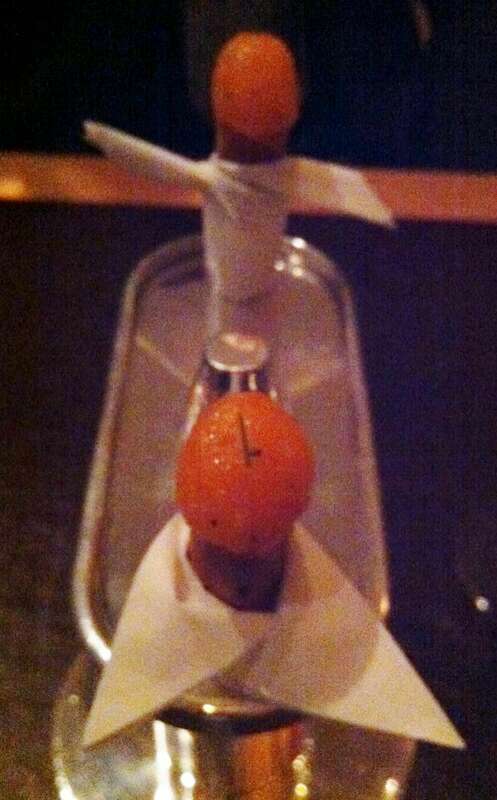 This will be a combine summary of my 2 meals at per se: summer 2009 and 2010. While the season was about the same, the experiences happened to be quite the opposite. The first time I visited here, I focused more on Keller’s classics and surely they did not disappoint. The oysters and pearls lived up to its name, delicious with different layer of texture and temperature. I enjoyed the oyster’s freshness, tapioca’s creaminess as well as caviar’s brininess. Some other memorable dishes were: the purity of white asparagus with smooth almond butter ‘sauce’, simple and sweet poached lobster, and lastly the perfectly cook and delicious roasted Elysian’s lamb. The ‘coffee and doughnuts’; hot and airy cinnamon doughnut served with creamy semifreddo – nice too though not among my top 10 desserts. I was very happy by the end of my meal and it certainly ranked among my best meal in the States. Based on this great experience, I asked some of my foodie friends to have a meal here when I had a chance a year later. Somehow among New York’s top restaurants, they’ve never been here due to the difficulties to reserve they explained. Anyway, they made it finally. I told my captain what I had before and ensured that I would not repeat anything which she obliged. Unlike my first meal, this time was rather disappointing. My avocado mousse with caviar was alright though not as memorable as the oysters and pearls. The dover sole was overwhelmed by the vegetables ‘cream’ and sides. 4/5 of us opted for the foie gras supplement and we agreed that it’s weak in flavor (not rich), not really creamy and smooth. I had another lamb dish for my main: lamb loin cooked medium rare; while it’s tender, it’s not that tasty. The only great thing was a pair of langoustines a la plancha – sweet, with good texture, even better than my lobster a year ago. We’re busy talking about many things in the table, hence since the food is not that bad, we didn’t bother making any noise. Personally, I was kinda shocked (perhaps expecting too much) and this one certainly not a meal to remember. Chef Keller and Benno were never in the kitchen in both occasions. I was not sure whether Chef Kaimeh still fine-tuning his kitchen which should not be the case (you have no room for mistake if you’re a 3-star place). Based on these two meals I concluded that per se still had an issue with consistency. However, I admire Keller’s capability and courage to change more than half of the menu nearly daily. I would give 2 ½* for the food here. I would not mind eating here again in the future, but not yet for any extended menu. The better thing about per se was its warm hospitality. It’s pretty much flawless on both occasions. When you eat alone, the maitre d’ would be more than happy to chat with you about many things. He/she also tried to maximize your experience – ask something, more likely than not they will make it happen for you (such as extra or off-the-menu dishes). When you eat in a group, the waiters would not be obtrusive, yet whenever any need arise, they will attend to it quickly. In short, the service is always professional, gracious and efficient. Furthermore, everyone is friendly and well-informed. The only negative aspect was that a new napkin will not be brought whenever you left the table – not that big of a deal. Besides the service, I thought the atmosphere (contemporary interior design) was wonderful here: High ceiling, well-spaced big table and comfortable chairs with a view of Central Park – isn’t it nice? It serves well for business occasions and leisure. I'm still a little upset that Per Se had its summer closure while I was in NY. I will definately go next time I'm there though. First welcome to the new york board. There has been absolutely no change in quality at Per Se over the last year. Dear Seth, Would you please share when you have eaten at Per Se and why you feel there has not been a change? Another point of view would be interesting to me...thanks. Well, there you go. Two who were disappointed and detailed why, and two who were not, and simply state it. Lively discussion that. Well perhaps Sam Sifton's 4 star review in Wednesday's Times will provide enough proof of our non-disappointment. Boy, he's really milking that expense account before leaving, huh? Found myself in NYC with a friend on short notice. Since we could not get dinner reservations on 1 day's notice, we went to Jean George. 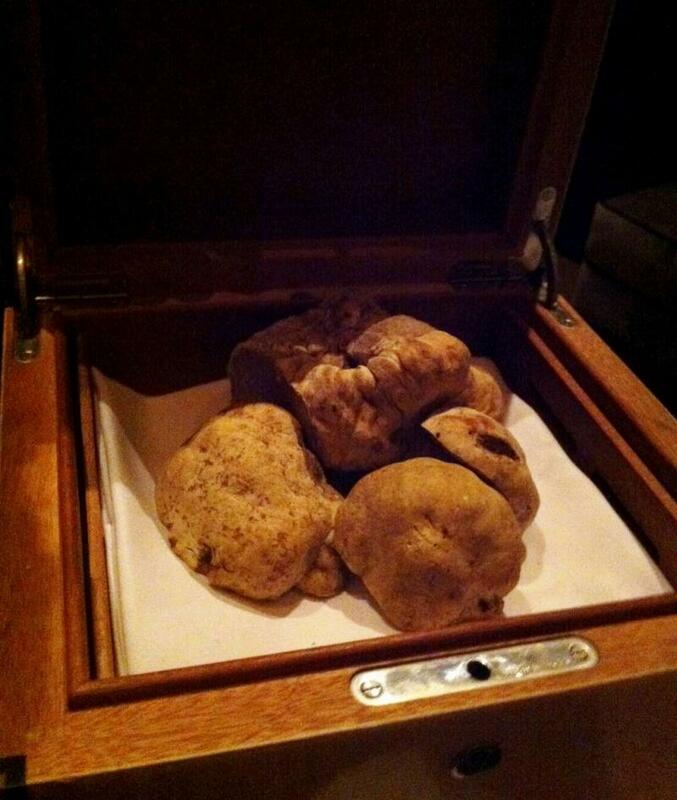 However, I was happy to learn that Per Se offered portions of its truffle menu in the Salon. 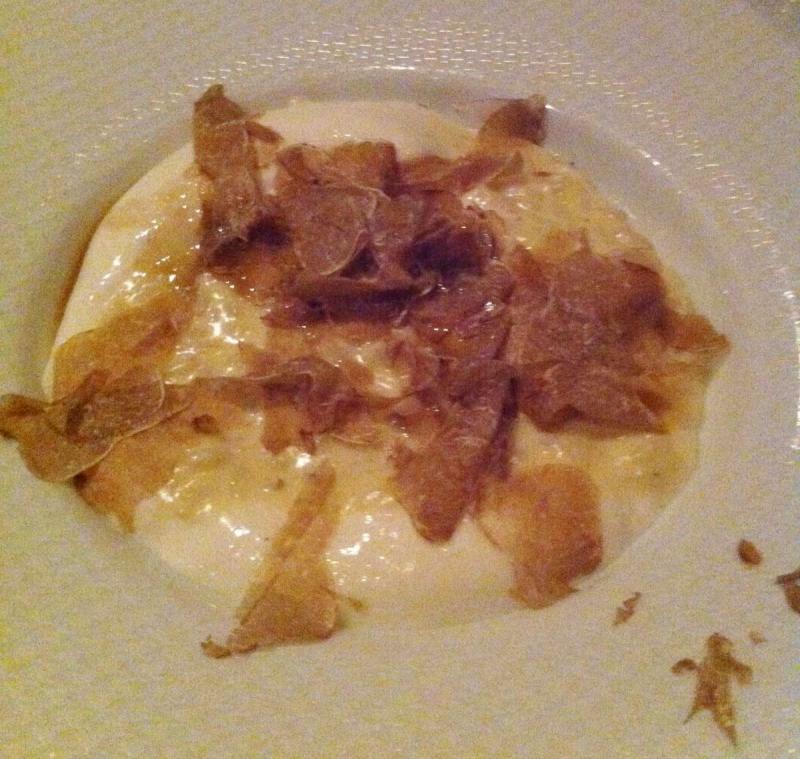 So after a 4 course dinner at Jean George, we walked over to Per Se for our truffle fix. Food was great, wine list is now on an iPad and service is friendly and knowledgeable as always. I still love Per Se but understand when people say they may not want to rush over there every year (even though I still find myself doing so). Ha, i wish I could afford to go more than twice a year! I was there Monday and had an even More amazing time than my other 15 visits. All newer dishes (only two Classics with new accompaniments). I'll post more when I have some time. Would someone be able to clarify something with regards to reservations? I'm coming near to when I want to make a reservation - from what I understand opentable is available from midnight 30 days prior to when I need to make a reservation, and the reservations by phone are open from 10am. I'm a bit confused by this, I understand tables are hard to secure, are the opentable reservations only for a limited number of tables? i.e. they probably fill up in the morning and then the rest are filled by the phone?